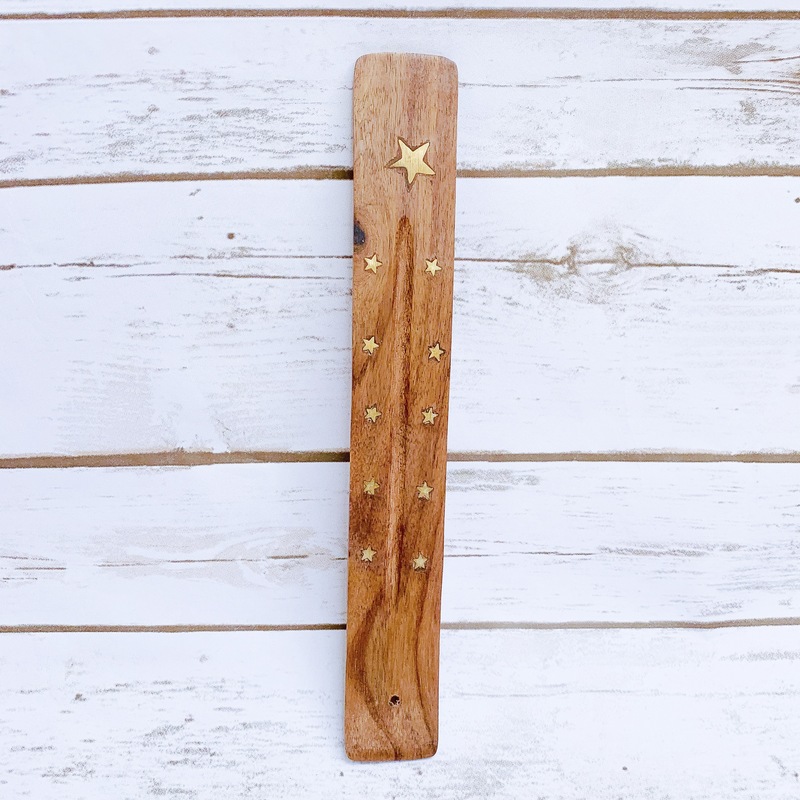 This 100% natural raw wooden incense holder is handmade and adds a warm touch to any space. Place your new incense sticks into the stand and allow the hand-carved dish to collect the ashes as they fall. We love the minimal, organic look with a dash of gold on each burner. The shape, color, and wood grain may vary between each incense burner and imperfections may occur, as these are uniquely hand-crafted out of a natural product.